On this website, we have compiled a guide for buying used guitars, guide to used ukuleles and much more. Now comes a time to do a guide to buying used pianos and I postponed this guide for quite some time because often times pianos cost so much more, even in used sections than any other instruments so if you have bad luck or do not research well enough and end up with a bad piano the loses are going to be that much more than with any other product. You should DEFINITELY tread lightly and take twice as much time with used pianos as with new pianos. That is why I have compiled here a more or less comprehensive list of what to keep in mind if you decide to buy a used piano. The first thing that you need to consider if quite obvious but is necessary to consider and then reconsider again. 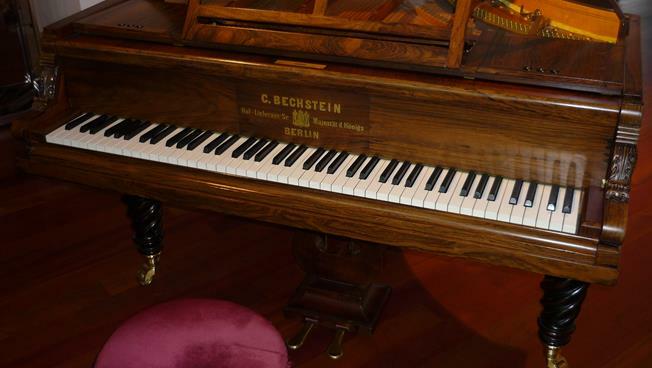 Budget is the biggest factor in buying anything but especially anything as sizable and costly as a piano. You can probably find a used piano that is in okay condition for around $500-600 but you will probably need a lot of luck for it to be in really good condition. Keep in mind, piano ain’t no tiny ukulele you can just take from a seller and unconcernedly walk away, you will most definitely need to pay for transportation. You might consider asking close friends that for some reason do not have anything better to do on a Saturday night than drag your humongous piano from a seller to your place, but I would try to be on a safer side and pay a little bit more to professionals who will not break their backs and accidentally break your piano along the way. So whenever you are deciding on a budget always account for the transportation fees that will come along the way. Now as to where you can buy your piano. Of course, there is a way of getting a really cheap piano on eBay or Craigslist (like really cheap) but I have always been apprehensive about buying a piano from websites. You might find someone online or through different sources (newspapers still exist… I think) and contact an individual who is selling his/her own piano but before getting all giddy and excited about a really cheap price write down a list of things you should be asking. Some questions might be something like why are they selling a piano. Maybe in that way, you might get a sense if something is wrong with a piano if the person is being apprehensive and evasive RUN. If the person is selling because they need money right away than that might seem like an okay situation, but keep in mind that since they are selling a piano to get the money they might not have spent money on tuning the guitar regularly. The point is, you should try to meet up with the person who is selling maybe see where it has been kept (lie if it is kept in a basement like in some sort of a kidnap-demand money situation, I really do not think you should be considering that piano). Also, seeing piano in real life will help you see if there are any minor problems with it that are not visible on a picture and you can play it for Christ’s sake. Another way to buy a piano is through a piano seller. Although it might seem that piano sellers are more reliable because they are professional sellers that is not really the case in a lot of situations. Sellers prefer trading new pianos and used pianos are not a big part of their jobs (at least for most of them). Also ask if the piano has previous owners other than the ones that you are buying it from, maybe the person who owns it now might have treated piano quite well but the person before disregarded maintenance. Also, ask whether the person who used it was using it often or not. If the piano is being sold because someone bought it because they wanted to learn how to play piano and after a month or two never touched it again that might indicate that they did not do any proper maintenance that will cost you so much more in the future. If the piano was not tuned or maintained it will indicate not only that piano is not in tune and will need special tuning but also that strings might be rusty. One thing you can do to check whether piano was tuned regularly is ask for the technician’s contact information so that if you buy the piano you can use the same technician while also checking whether they even have anyone to do it. Also, check that the piano is at least approximately in A440hz. If you are not a professional piano player and do not know every nook and cranny of the instrument you might be better off hiring an expert who can assess the condition of a piano. There are a lot of reliable professionals that can do it for you but then again you need to budget for that too, depending on where you are it might cost you from $50 to $100 or more. It might seem a bit too much for a used piano but in long term, it will be a good investment. If you buy a piano that seems to be in a good condition and after you buy it you realize that the strings are broken or that board has tiny cracks that you could not notice or bass it loose, you basically have saved on a check up about $100 that will need to be spent on fixing it or you might even end up with a piano that is just going to continue deteriorating. These are just a few things that you definitely need to keep in mind when looking through used pianos. If this is your first time buying a piano I would really suggest you get a professional because even if you know what parts of the piano you should focus on to check if they are in the proper condition you will not really know how they should actually be like. Pianos are nothing like most of the instruments, their construction is much more complicated and maintenance needs to be professional so if you have an option of getting a piano at, say $700 without a proper check-up or a $600 piano with check up I would suggest going for a $600 one because if you are buying a piano from an individual chances are you cannot return it saying that you did not think it was in such a decrepit state.